​Jose Mourinho has delivered a hilarious retort to the FA in an interview following Manchester United's 2-1 victory over Juventus in Turin on Wednesday night. The ​United manager has been embroiled in a drawn-out saga with the Football Association regarding the abusive language case that was lobbied at the Portuguese tactician after comments he made after his side's 3-2 win against Newcastle. 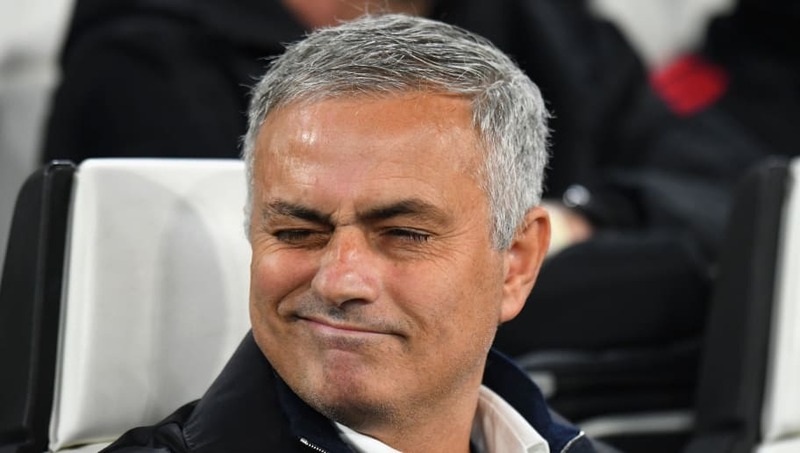 Mourinho was initially cleared of the charges, which hinged on the linguistic semantics and context of Portuguese swearing by an independent commission, but the FA have since appealed the ruling. All this lead to the 55-year-old's genuinely funny retort to the organisation in an interview on Wednesday night. Speaking to sports provider Viasat, Mourinho was probed on his celebrations at the final whistle of the ​Champions League counter, which caused an uproar among ​Juve fans and players. The Portuguese seemed to be antagonising several of the Bianconeri, and repeatedly cupped his hand to the home fans as he left the pitch. In response to this line of question, Mou replied: "Do you understand Italian? No? So, ask the FA, they will translate for you." At which point, the tactician couldn't contain his excitement and seeming surprise at constructing a genuinely witty response on the fly, letting out a super-villain style laugh that went on for around three seconds too long. Though the FA have re-opened the case against him, the proceedings will not begin until next week, meaning Mourinho is guaranteed to sit in the dugout during Sunday's Manchester Derby at the Etihad.